Weekly Rehab Minute: What is an Athletic Trainer? There tends to be a lot of confusion around what an athletic trainer does when compared to personal trainers and physical therapists. An athletic trainer is a “healthcare professional who renders service or treatment, under the direction of or in collaboration with a physician, in accordance with their education and training and the states' statutes, rules and regulations. 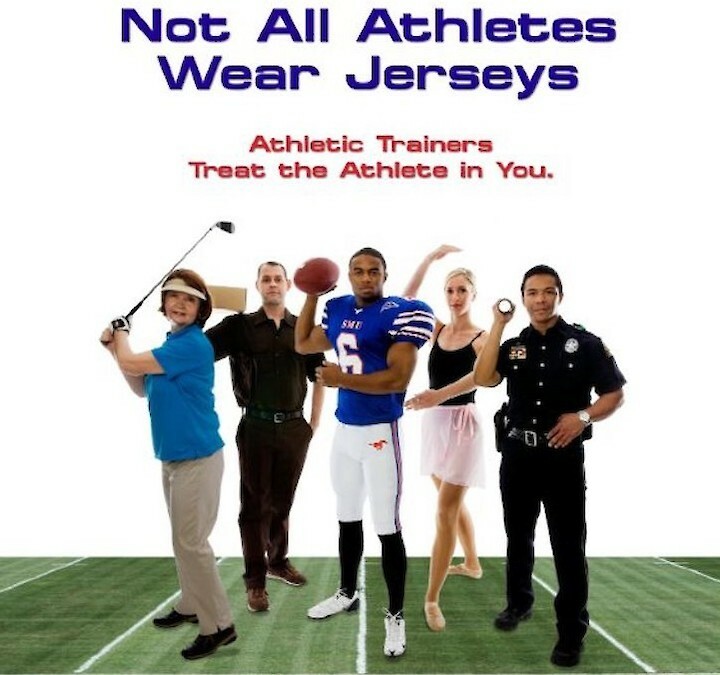 As a part of the healthcare team, services provided by ATs include injury and illness prevention, wellness promotion and education, emergent care, examination and clinical diagnosis, therapeutic intervention, and rehabilitation of injuries and medical conditions.” This definition was created by the national athletic trainers’ association (NATA) in order to distinguish ATs from other healthcare professionals. Simply put, an athletic trainer will provide medical coverage during athletic events and help an individual return to activity after an injury and no, they will not help someone lose weight and get into shape. Athletic trainers can work in a variety of settings from high schools, colleges/universities, hospitals, physical therapy clinics, military, industrial settings, and professional sports. Athletic trainers are not restricted to working solely with athletes. Instead, they work with the physically active population. This can be deciphered a variety of ways, which is what makes athletic trainers so versatile in the healthcare setting. Athletic trainers specialize in injury prevention and emergent care for individuals of various activity levels. An athletic trainer is a certified and licensed health care professional who practices in the field of sports medicine. Whether it is returning an athlete to sport, an industrial athlete to work, or an individual to their active lifestyle, an athletic trainer can provide them with the help they need.